Home » देश » North India to Witness Moderate to Heavy Rainfall Over Next Two Days Due to Western Disturbance. As fresh Western Disturbance caused a Cyclonic Circulation over western parts of Rajasthan, most part of North India including Punjab and Haryana is likely to witness rainfall, reported Skymetweather. The trough is also extending upto West Uttar Pradesh. 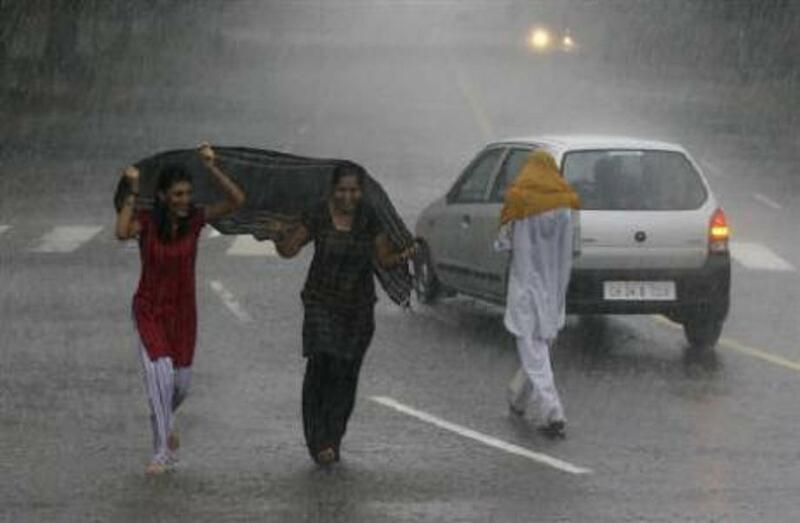 Rain and thundershowers are likely to hit Punjab and Haryana by today evening. Moderate to heavy rains are likely over many parts of North India in the next two days till April 17. The trough will move eastward, and intensity will reduce considerably. The rain will be accompanied by violent thunderstorm and dust storm with a wind speed up to 50 – 60 kmph. Yesterday, Delhi’s Safdarjung Observatory recorded a maximum temperature of 38.1˚C. These showers will bring relief from the rising temperature. However, these pre-monsoon showers are harmful to standing wheat crops which will be damaged due to strong winds, hailstorm, and rainfall activities. Meanwhile, after April 17, the temperatures will again increase. Meanwhile, the IMD has also has issued a warning of thundersquall with a wind speed of 60-70 km per hour at isolated places over Assam, Meghalaya, Nagaland, Manipur, Mizoram and Tripura. Several houses were also reported to be damaged in the storm. The northeastern states of India have been witnessing moderate to heavy rain and thundershowers for the last two days.